KASP shall strive for organizational excellence. Improve the accuracy and relevance of KASP governing documents. Consider changes to membership meeting. I hope this newsletter finds the KASP membership in a positive mindset for 2018. The Holiday Break was a much needed time for me to stop and reflect on life in general, as well as my own professional goals. This past year as President has flown by so quickly, I'm not sure where the year went. Now, as KASP Past-President, taking time to reflect on the previous year's accomplishments, reflecting on KASP Board progression on the Strategic Action Plan, and the challenges that are currently confronting our field as a profession, in particular the current shortages of School Psychologists, ESSA, and school psychologists as a mental health professional, are in the forefront of my mind. School Psychologists as Mental Health Professionals continues to take a forefront in our roles in the schools. We are one of several school-employed mental health professionals that have unique training allowing us to deliver services embedded in the context of learning and supporting our schools' mission. Research has revealed that comprehensive and coordinated learning and mental health supports directly contribute to more positive student outcomes and increased academic achievement. Policies, as well as funding, that improve student access to mental health professionals and services can help ensure that all students' needs are identified and met. Continued advocacy toward improving funding of our roles within the schools is a continued focus of KASP, as well as NASP. In recognition of the need for continued policies and funding by the state and federal government, KASP has collaborated with the Kansas School Counselor Association and Kansas School Social Worker Association to initially hold the 2017 Mental Health Lobby Day in 2017 and this year's School Mental Health Awareness Day in Topeka, KS. on Wednesday, January 17, 2018. Be sure to join us at the Capitol on Wednesday, January 17, 2018! Provided from NASP "Communication Planning and Message Development: Promoting School-Based Mental Health Services"
As KASP President, the Fall Conference is a primary focus and responsibility, along with guiding the organization to meet goals and plans previously set by board members and membership. The desire to provide top-of-the-line professional development to KASP membership, while keeping membership fees low, can sometimes be a challenge; however, the KASP Board has been able to work together to find and locate speakers willing to provide quality professional development to membership that is timely and impactful to our current practice. I hope that you found our Keynote Speaker, Rebecca Lewis-Pankratz, Director of Learning Centers, ESSDACK POVERTY Consultant, Dr. Bernard Franklin's presentation on the "Journey to Creating a Trauma-Sensitive School: To Improve Learning" on Friday, and the Thursday Breakout Sessions to be well worth your time away from your current caseload, as well as a valuable asset provided by your membership fees. KASP Membership fees continue to be one of the lowest in the country, while continuing to provide high quality professional development to our members. "The KASP Board has put together a fantastic 2 days of learning opportunities, with a primary focus on the mental health needs, particularly those related to trauma. We’ve also expanded beyond that on today’s breakout sessions to focus on Dyslexia, behavior, executive functioning, building resilience, and the tools that will assist in the assessment of students’ needs. We challenge you to look beyond the behavior of children, parents, teachers, and administrators and view them through a new lens. To learn the reality behind the impact of trauma, whether that be from poverty, abuse, crime, or natural disasters and what that does to the neurological systems of human beings. Our cultural and ethnic differences, socio-economic challenges, gender identity, disabilities, health issues, and religion (as well as many other factors) impact our perception of and response to others. What we take for granted, others may perceive as a privilege or a right that they do not have. What we see on the surface may be a front or false façade, rather than the reality that we and they are dealing with day to day. Our own lens of perception may change throughout our lifetime, through our own life experiences, through others challenging our underlying core beliefs, and through our own seeking out of learning that may challenge our belief systems. We must recognize and validate our own story, our own strengths and weaknesses, so when others reach out for assistance, we know when our own beliefs impact our ability to support them. If our own beliefs do get in the way of fully hearing their story, our efficacy diminishes tremendously. We must be willing to recognize when we cannot assist a student or parent or staff, not as a weakness, but as an area that someone else may be able to be more effective and understanding. We must be able to refer to another professional and not feel guilty about our own personal belief system. It is, what it is; however, our students’ mental health and needs must be placed first. Our roles, whether as a school psychologist, counselor, social worker, or teacher, have one mission—the mental health, education, and growth of our children. We are the scaffolding for the next generation of leaders, we must assure the safety of ALL children, we must build resiliency in our students, and expand their tolerance for the diverse needs of our communities. Our charge is to provide a safe learning environment for ALL children, despite what our own basic beliefs may be. All of the political unrest, the racial riots, flag protests, and military actions are in the forefront of our children’s minds due to technological advances. Our children are exposed to much more than we could ever have imagined when many of us grew up (in the caveman era from our student’s perspectives), when the only thing on tv was Dark Shadows, or When the World Turns, or John Wayne. They have the world at the touch of their fingertips through social media. This is how our children are growing up, with ongoing visuals of the trauma that occurs each and every day in our communities. We are seeing the impact of this in our schools. We have an increasing number of students with anxiety, students with difficulty self-regulating, students with social skill deficits, and a general lack of resiliency in response to stressful situations. Many of you can walk into your buildings at the beginning of the school year, and visibly see this impact as our students enter into Kindergarten. School is so much more now than reading, writing, and arithmetic. We must be able to address the mental health needs of our students, and be able to understand the underlying reasons behind the struggles that they demonstrate. Trauma. PTSD. PTSS. It’s called by many names. It used to only be related to war veterans, to extreme situations, but the more we learn about the brain, the neurological structures and physiological changes in response to trauma and and stress, the wider the path of damage that trauma is digging in the neurological pathways and make-up of the brain, and in response, into the outward behaviors observed in our schools. We must learn to understand trauma, to change our response to children and adults who have experienced trauma, understand our own response to trauma, and rebuild a resilient individual and community of supports." In the past few months, significant changes have occurred in the KASP Leadership Board due to health and/or unexpected life issues. On November 28, 2017, the 2017 President-Elect, Jessica Feldhausen rendered her resignation from the KASP Board. After much consideration and reflection, Jessica decided to remove herself from the KASP Board for personal reasons, multiple conflicts, and the feeling that she was not able to fulfill the upcoming role of President. The KASP Board accepted her resignation, which left the President-Elect position open for the rest of 2017, as well, then, as the President 2018 and Past-President 2019 positions. The KASP Board reviewed Constitutional procedures, as well as discussed options with the newly elected incoming President-Elect for 2018, Crystal Winters, whom had been elected by KASP Membership on October 5, 2017. While voted as the President-Elect, her position would not officially become in effect until the KASP Board Retreat in January, 2018. After much discussion and review, the KASP Board recommended searching for an alternate KASP member to the nominated to the position of President. After reaching out to several previous KASP members and current KASP Board Members, the KASP President nominated Betsy Crawford, Ph.D. for the position. The KASP Executive Board unanimously voted to confirm Betsy as the Past-President, which required at least a two-thirds majority vote by the Executive Board. Betsy immediately began serving on the KASP Board as the President-Elect, which then left open the Governmental Relations/SPAN Position, which is an appointed position by the President. Due to the nearness to the KASP Board retreat, the 2017 President elected to wait to appoint a member to the position of GPR. Then, on December 8, 2017, Crystal Winters, Ed.S., incoming President-Elect for 2018, rendered her resignation from the KASP Board. Crystal respectfully resigned from the KASP Board due to unexpected family reasons, which would impact her ability to fully serve as the President-Elect, and potentially then, as the President and Past-President in the future. Rather than not be able to give 100% to the position, Crystal decided that resignation was the best option for her personally, as well as for the KASP Board. The KASP Board accepted her resignation at that time. Due to the current position of President-Elect being filled by Betsy Crawford, a nomination and Board vote for the position of President-Elect for 2018 could not be completed until after the beginning of January, 2018, when the position officially became vacated. At the January 5th and 6th, 2018 KASP Board Retreat, the 2017 KASP President, Kathleen L. Gaskey, Ed.S., transitioned into the Past-President position, turning the gavel over to Dr. Betsy Crawford, President. As President, Betsy led the KASP Board in discussion surrounding the open position of KASP President-Elect. A nomination was made for Jessica Mefford, Ed.S., out-going Central Region Director, to fulfill the position of President-Elect. A vote of the Executive Board was held, with Jessica being unanimously voted in as the 2018 President-Elect. In addition, the Government Relations/SPAN position opening was discussed. As a position that is appointed by the President, Dr. Crawford appointed Dr. Jim Persinger to the KASP Board for this position. At the Board Retreat, it was also discussed that the Western Region Director would potentially be resigning in June due to leaving the state. The position would then be open for 6 to 7 months due to this. The KASP Board will be seeking out a western region member to fill the position until the end of the 2017 year. The Western Region Director position is also in rotation to be voted on at the October, 2018 KASP Fall Conference by membership. While significant changes have occurred over a short period of time, the KASP Board is confident that the current replacements will allow for KASP to continue to function and represent the KASP membership at the highest professional level. President-Elect: The President-Elect attends KASP Executive Board meetings, prepares for his/her duties as President, and assists other officers or officials as is necessary. 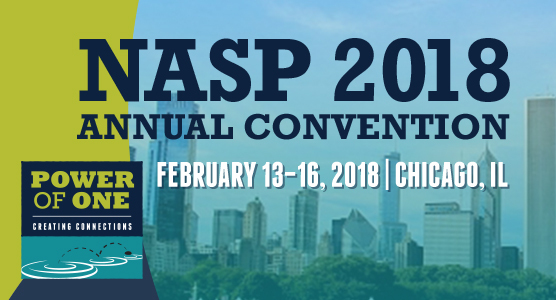 The President-Elect and thePresident is expected to attend the annual NASP convention and the Regional Leadership Meeting. The President- Elect also works with the Treasurer to develop a budget for the year that they serve as President. The budget would likely be developed during December and then presented at the board retreat in January. This position translates into a 3-year commitment to KASP, with the first year as President-Elect, the second year as President, and the 3rd year as Past-President. Associate Editor: The primary function of the Editor and Associate Editor is to publish a minimum of four newsletters (The Kansas School Psychologist) per year. They shall coordinate any other publications as determined by the Board. This is a two-year position with election to the Associate Publications position for the first year. The Associate Editor will be mentored during his/her first year and will share in publication duties. The Associate Editor will become the Editor for the second year of his/her term. This position translates into a 2-year commitment to KASP, with the first year as Associate Editor and the second year as Editor. The Secretary also is responsible for developing a thorough knowledge of the Association's Constitution, Bylaws, and Standing Rules. She/he assists in proposed changes to the above documents, aids in procedural questions acting as Parliamentarian, and serves in a monitoring role for the Board. She/he also deliberates and responds to ethical questions from the membership. Keep all Constitutional changes current and suggest possible wording change if something appears vague. See that each Board member receives a current KASP Constitution, Bylaws, and Standing Rules. Shall maintain a list of the cooperatives and districts by region. Shall send webmaster/archivist final approved minutes. Write letter seeking new members and renewal members. Develop and prepare current membership application with Executive Manager for distribution before the beginning of the new fiscal year (January). Develop and implement membership incentives. Notify hometown media of the new President's election. Notify media of the KASP School Psychologist of the Year selection. Publicize KASP conferences and workshops. Develop and/or distribute media spots concerning school psychology or relevant children’s' issues. Arrange with the Governor’s office for the Proclamation of School Psychology Week, as designated by NASP. Set up booth at the Fall Convention. They shall be responsible to coordinate activities relating to publicity of events, recognition of members, and communication of multi-state/regional information. Press releases should be sent to local news media for events such as convention information, Winner of the Psychologist of the Year, newly elected board members, etc. The Membership official shall inform external agencies and the general public about the aims and activities of KASP. (1) Discuss the relationship between emotional disorders and poor self regulation skills, bullying behavior, and limited academic success in school. (2) Discuss the neural architecture of emotional functioning by examining six key brain regions responsible for behavioral self-regulation. (3) Explore the neurobiological correlates and treatment options for psychopathy and emotional dysregulation, depression, and anxiety disorders in children. (4) Present a treatment algorithm utilizing counseling, cognitive-behavioral therapy, parent training, and neurofeedback to promote emotional wellness in children. (5) Explore effective classroom interventions, treatment options, and assessment strategies for children with emotional self-regulation and conduct disorders. (1) Discuss national trends in written language, and explore gender differences in writing performances between boys and girls. (2) Discuss the neural architecture responsible for written language development in children and learn key brain regions responsible for the organization and production of writing skills. (3) Discuss three specific subtypes of writing disorders, with particular emphasis on how“frontal lobe” processes such as working memory and executive functioning impact each subtype. (4) Discuss five essential steps for effective written language instruction, and learn key intervention strategies for each written language disorder subtype. (5) Introduce the 90-minute dysgraphia evaluation as a more viable means to both identify and remediate written language disorders in children. Friday, April 20, 2018 8:00 a.m. - 3:30 p.m.
"We have participated for the last 2 days in professional development intended to help extend our understanding of trauma, the impact it has on the neurological systems of children and adults, and the need to change how we respond and what questions we ask. This is a huge undertaking, but I believe you will find the outcomes that you get from children is well worth the effort you put into it. YOU can be THAT person, changing a life with one positive comment at a moment that a child needs it the most. It’s the people that support a child that helps build resiliency. Be the support and scaffolding for your students. You might be the turning point in their life. Now, I would like to recognize the current KASP board members for their work in putting together this convention, as well as all their efforts to make KASP one of the top organizations in the nation. Would the current KASP board members please stand? These people have embraced the challenges that have been presented to them, have volunteered their time, knowledge, and energy, and have represented the profession of school psychology well. Please join me in a round of applause for their commitment to our profession and to the children of the state of Kansas. I will also use this time to announce the results of the election ballot that was sent out to membership for voting through the end of yesterday. Before I announce the results, I would like to comment that several of the positions were uncontested, which does not lessen the commitment of the people on the ballot; however, it does make me question how our current membership can rally and give back to the profession. We all have caseloads that are overwhelming and can be challenging from day to day. However, the benefit of working on a board of committed professionals far exceeds the time commitment that is a part of the responsibilities. I want to challenge you all to think about when is it your turn to step-up and represent your profession proudly. It is more important than ever to be visible, to contribute to the evolution of the profession, and to have a say in what school psychology is going to be in the future. If not you, then who? I would like to now recognize and announce the newest members of the KASP Board. Please stand as I read your name and position. Please join me in welcoming these dedicated professionals to the 2018 KASP Board. Thank you for making this commitment to our profession. This year, the KASP Board also committed to updating the Constitution and Bylaws of KASP. We sent the suggested wording changes for your review when we sent out the voting ballots. Is there a motion to discuss and vote on the suggested changes to the KASP Constitution? Is there a second? Thank you. Are there any points of discussion at this time? If not, do I have a motion to vote on the wording changes to the Constitution as presented to the membership? Is there a second? All those in favor? All those against? Motion passed. Our role as school psychologists is a complex one, and not easily described to others. I have always stumbled over how to explain what I do for a living—it’s not the same job from day-to-day. Sure, there are some basic underlying components that are consistent, but on any given day I can walk in expecting my day to look one way and leave not having done one of the things that I had planned to accomplish that day, because of the needs of my buildings, my staff, or the students and families that I help to support. So, I started thinking about how the field of school psychology evolved and sought out additional information. In reading the history, it appeared that the term school psychologist was first used in 1910 by the German psychologist Stern. It also clarified for me that school psychology is rooted in psychology and education—in scientific psychology through the mental measurement movement, in applied psychology through the mental health movement, and in education through the pupil personnel services movement, and more recently through special education. Since we are part of public education, which is ever changing, the role demands and expectations have continued to evolve. About every 10 years, our roles seem to be redefined according to what the discipline was at that time period, and what the practitioners should be doing or are expected to do. Our jobs have always been demanding; however, I believe that the demands that are placed on us now are more important than ever, as the mental health needs of our students have increased. We must become more visible, we must make ourselves indispensable. School Psychology Awareness week is November 13-17, 2017. This is one such opportunity to make yourself visible to your staff, parents, and community. Be proud of what you do and share that with others. Celebrate being a school psychologist. The National Association of School Psychologists has been discussing and predicting a school psychologist shortage, and has been attempting to aide state organizations in preparing for the shortages that are occurring. If you have not yet read the KASP Board report on school psychologist shortages, it is available on the KASP.org site. Please take time to read it. Your active engagement and understanding of this situation can impact the outcomes that result. KASP has been working to try to address the school psychologist shortages that have been looming on the horizon over the past 8 to 10 years. We have conducted surveys, interviewed other state organizations and universities, and reached out to the state department of education to assist us in wrapping around the shortages that have now become a reality in our state. Our data reflects that by the end of the next school year (2018-19), 35% or a little over one-third of the school psychologists responding to a 2017 survey anticipated that they would be leaving the profession of school psychology. We know that in 2020, which is only 2 more years from now, two-thirds of the current practicing psychologists in Kansas are anticipated to leave the field. Many reported that high caseloads, stressful work conditions, burnout, stagnant or low salaries, political challenges, problems with the current retirement system (KPERS), and family moves as all being contributing factors. Each year since 2009, we have seen an 11-year trend where 2% MORE psychologists were retiring than entering the field, resulting in an 11% decrease in support provided per pupil. While this has been occurring, we have also noted a significant increase in the mental and behavioral health needs of our students. The reality has hit the state of Kansas, as open school psychologist positions have had districts looking for other options in providing supports. Several have reently hired clinical psychologists to fill the void. KASP is NOT in support of this practice, not because we are elitist, but because of training differences that are critical to the role of providing services in the school setting. Clinical psychologists lack training in child and adolescent developmental psychology, the very population they are working with in the schools. Their certification was based on administrative supervision, rather than professional supervision and feedback. They lack the training in Educational Law and the Rights of Families, as well as a lack of educational training. They have had not curricular training that was embedded into their programs. We feel that the services that they provide in a position as a school psychologist will be lacking because of this, unless futher training is sought out. KASP is currently working to further define what being a school psychologist is, and what makes us different from other professions? We have put together a team to work with the KSDE on licensure, working on steps and processes at the university level to allow for re-specialization from other professions in the shortest amount of time possible, while maintaining the high-quality expectations of our profession. We must figure out how to inform those around us of the value of school psychology and gain more visibility with students seeking out professions in order to gain interest in our field. If we cannot advocate and support the need for school psychology, the field may never be able to recover. We encourage you to continue to be active in KASP, to volunteer for board positions, and to work with your local districts in problem-solving around how to support children with school psychologists. Be an advocate for yourself! Thank you for listening so attentively and I hope that I’ve been able to provide you some insight into the challenges that we currently are facing in our field." This award is given to individuals or groups outside the profession of school psychology who have supported political action and advocacy on behalf of children to improve education and mental health services for Kansas children, youth and their families. These awardees have worked to make systemic changes in policies that govern the provision of education and mental health services at the local, state, and/or national level. In addition, these individuals or groups have worked to support the KASP mission and its goals. Individual nominees or groups have so distinguished themselves by this service that clear evidence of improvement of education and services for children can be readily documented. The first recipient of the KASP Friend of Education Award is Colleen Riley, Director of Early Childhood, Special Education, and Title Services at the Kansas State Department of Education. Colleen has been a state department liaison for the KASP Board and has been supportive of the comprehensive role of school psychologists. She has been committed to effective educational practices delivered through a muli-tiered system of support and has helped shape the Kansas Can vision. Kansas students receive a better education because of the advocacy, work, and support of Colleen Riley. The recipient of the 2017 Edna L. Harrison Pioneer Award is an active member of KASP, as well as holding seats on committees within the Kansas State Department of Education that focus on appropriate service provision and mental health needs within the schools. He is a strong advocate for schools, families, children, and other school psychologists at both the local and state levels.The Edna L. Harrison Pioneer Award is named for one of the original founders of KASP in 1964. Later, at the age of 71, Edna served the KASP Board as the sixth KASP President. Throughout her life, she was well respected for her humanitarian work, her advocacy for children, and for exemplary practice as a school psychologist. Edna was truly ahead of her time and frequently had to persevere under difficult circumstances. This award helps to address the need to reframe the role of Kansas school psychologists as educational and mental health providers. The award serves to validate those practitioners who are engaging in innovative health service delivery and working to meet the needs of children with increasingly more diverse and challenging needs. Within his practice as a school psychologist, he has developed and delivered inservice training to district personnel, helped to structure school systems including the SIT process, and recently has taken on the position of PBIS coordinator in his district, a position that was created based on and directly linked to his efforts and advocacy. If all that is not enough, he is also a published author of the book, Bug and Boo, which is a resource for parents, teachers, and young students to use in learning calming strategies. I am proud to recognize and introduce to you, the 2017 recipient of the Edna L. Harrison Pioneer Award, Kyle Carlin. For More Information on Rachel, see the School Psych Spotlight below! How Childhood Trauma Affects Health Across a Lifetime; Nadine Burke Harris, MD. Responsive Classroomis an evidence-based approach to elementary and middle school teaching that focuses on the strong link between academic success and social-emotional learning (SEL). Independentresearchhas found that theResponsive Classroomapproach is associated with higher academic achievement in math and reading, improved school climate, and higher-quality instruction. It has been described by theCollaborative for Academic, Social, and Emotional Learning (CASEL)as one of the most “well-designed evidence-based social and emotional learning (SEL) programs”. Helping Traumatized Children Learn. Volume 1. A Report and Policy Agenda. Published in 2005, TLPI’s landmark report summarizes research from psychology and neurobiology that documents the impact trauma from exposure to violence can have on children’s learning, behavior and relationships in school. The report also introduces the Flexible Framework, a tool organized according to six core operational functions of schools that can help educators maintain a whole-school perspective as they create trauma-sensitive learning environments for all children. You can download a free PDF of the book by completing the online form. Volume 2 of Helping Traumatized Children Learn:Creating and Advocating for Trauma-Sensitive Schools, safe, supportive learning environments that benefit all childrenoffers a Guide to a process for creating trauma-sensitive schools and a policy agenda to provide the support schools need to achieve this goal. Grounded in theory and practice in schools and with families, the Guide is intended to be a living document that will grow and change as more schools become trauma sensitive and add their ideas. The policy agenda calls for changes in laws, policies, and funding streams to support schools in this work. Together, the online learning community and the book are designed to complement each other, helping to build a growing and increasingly visible trauma-sensitive learning community. What should we do to improve the lives of children growing up in adversity? From the best-selling author of How Children Succeed, a handbook to guide readers through the new science of success. Purchase the book or download the PDF. Brisch, Karl H.; Treating Attachment Disorders: From Theory to Therapy; 1999. Brown, Brene; Daring Greatly: How The Courage to Be Vulnerable Transforms the Way We Live, Love, and Lead; 2012. Brown, Brene; Rising Strong: The Reckoning. The Rumble. The Revolution; 2015. DeGruy, Joy; Post Traumatic Slave Syndrome: America’s Legacy of Enduring Injury and Healing; 2005. Doidge, Norman; The Brain That Changes Itself: Stories of Personal Triump from the Frontiers of Brain Science; 2007. Doidge, Norman; The Brain’s Way of Healing: Remarkable Discoveries and Recoveries from the Frontiers of Neuroplasticity; 2015. Firman, John & Gila, Ann; The Primal Wound: A Transpersonal view of Truama, Addiction, and Growth; 1997. Hill, Robert W., & Castro, Eduardo; Healing Young Brains: The Neurofeedback Solution. Durg-Free For Childhood Disorders—Including Autism, ADHD, Depression, and Anxiety; 2009. Levine, Peter; Walking the Tiger: Healing Trauma; Somatic Experiencing Trauma Institute, Boulder, CO, 1997. Levine, Peter; In An Unspoken Voice: How the Body Releases Trauma and Restores Goodness; 2010. Levy, Terry, & Orlans, Michael; Attachment, Trauma, and Healing: Understanding and Treating Attachment Disorder in Children and Families; 1998. Nicholson, Barbara & Parker, Lysa; Attached at the Heart: 8 Proven Parenting Principles for Raising Connected and Compassionate Children; 2009. Pelzer, Dave; A Child Called It: One Child’s Courage to Survive, 1993. Perry, Bruce, & Maia Szalavitz; The Boy Who Was Raised as a Dog; 2008. Perry, Richard; Effects of Traumatic Events on Children; The Child Trauma Academy, 2003. Purvis, Karyn; The Connected Child, Institute of Child Development, Texas Christian University, Ft. Worth, TX; 2007. Ross, Colin A.; & Halpern, Naomi; Trauma Model Therapy; 2009. Saxe, Glenn N.; & Ellis, B. Heidi; & Brown, Adam D.; Trauma Systems Therapy for Children and Teens; 2016. Siegel, Daniel; Parenting from the Inside Out; 2013. Siegel, Daniel; The Neurobiology of We: How Relationships, the Mind, and the Brain Interact to Shape Who We Are; 2011. Sweeney, Michael; Brain-The Complete Mind: How it Develops, How it Works, and How to Keep It Sharp; 2009. Taylor, Jill Bolte; My Stoke of Insight: A Brain Scientist’s Personal Journey; 2006. Taylor, Kathleen; & Marienau, Catherine; Facilitating Learning with the Adult Brain in Mind. A conceptual and practical guide; 2016. Van Der Kolk, Bessel; The Body Keeps The Score: Brain, Mind, and Body in the Healing of Trauma; 2014. Verrier, Nancy Newton; The Primal Wound: Understanding the Adopted Child; 1993. Wimberger, Lisa; Neurosculpting: A Step-by-Step Program to Change Your Brain and Transform Your Life; 2014. This year’s recipient began her career as a teacher and then returned to school to obtain the School Psychology licensure. She is considered to be a leader in her cooperative and within the schools that she supports. In addition to being a leader she does an excellent job of teaming with other school psychologists, administrators and IEP teams. She is actively involved in school-based committees, is quick to volunteer her time, even when there is none to give. She regularly sends team members articles pertaining to current educational trends, assessment methods and data, and different teaching methodologies. She is much more than an organizer, data gatherer, or author of articles. Her most special talent is that of caring! Her calm, happy demeanor helps any child or teen to be comfortable before, during and after the assessments in which they need to participate. She is able to support others while respecting their need for space. It’s my pleasure to announce to you the 2017 KASP School Psychologist of the Year, Rachel Ellenz, from USD 273 Beloit Public Schools. Her speech/language pathologist, Michelle Hahn, reflected that “Rachel was instrumental in guiding me through the legal, procedural, and daily practices that included an ever-growing list of unfamiliar acronyms such as MDT’s, NOM’s, and PWN’s which I had not encountered in the medical setting. I even started a running list, which is still posted in my office of “Rachel says” rules for documentation, such as “Rachel says never say “as needed” in a report, you must be specific.” Or “Rachel says you must get the NOM out in 10 days.” These may sound pretty basic, but this is where the development of great professionals begin. Rachel has the ability to complete her professional duties on a daily basis, as well as staying on top of the latest research on evidence-based practices, while never losing sight of working with and for the students. From a final coworker: A foundation holds up and supports a building. Rachel is that foundation. She has always been there to support myself and others when we were struggling within the world of special education. She never fails to provide encouragement and guidance. Rachel, on behalf of KASP, thank you for your dedication, your ability to embrace life-long learning, as well as your ability to empower children and youth in their journey throughout life. Congratulations on being selected as the 2017 KASP School Psychologist of the Year. SLP: You have on camo pants and I have on khaki pants. I do NOT have camo pants. Student: I like my camo pants. Your pants are nice too. SLP: Yes, I like your camo pants too. I do NOT have camo pants. YOU have camo pants, I do NOT have camo pants. Student: My daddy bought me my camo pants. SLP: That was nice of your daddy to buy you camo pants, but I do NOT have camo pants. You have camo pants, but I do NOT have camo pants. Student: Well, you KNOW you can go to the store and buy your OWN camo pants you know! SLP: My hand is BIG. Your hand is LITTLE. They are different sizes: BIG and LITTLE. Student: I want to go back to class. SLP: We'll go back to class in a minute. We're working on BIG and LITTLE. Now, my hand is BIG and your hand is LITTLE. What size is my hand? Student: Well, I can tell you something. SLP: What can you tell me? Student: I can tell you what you can do with you BIG hand!